Spring is here! With around seven weeks left to go we are certainly in the home stretch and there is so much left to do. I want to a huge shout out to the student council whose bake sale is rocking. The line was out the door this morning. 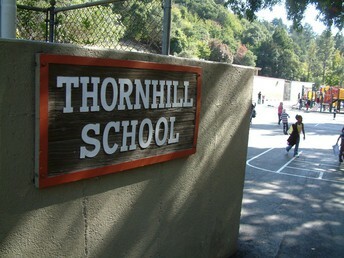 Thornhill's Student Council is raising money to support Prescott Elementary School in West Oakland. Their genuine efforts to support the greater Oakland community is amazing. 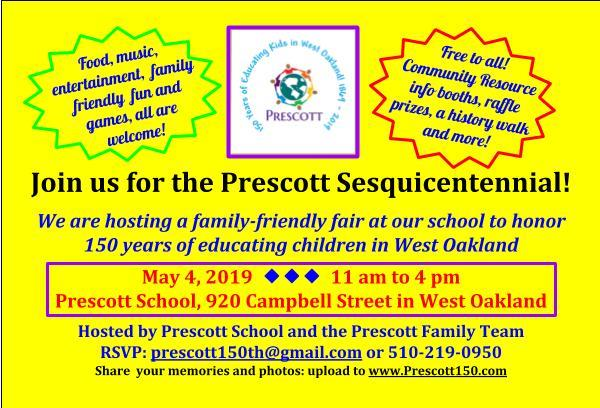 Prescott Elementary School is celebrating being the oldest school in Oakland. It is 150 years old! 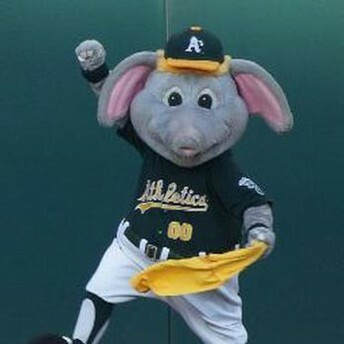 Everyone is invited to their celebration on May 4th. I hope to see you there. 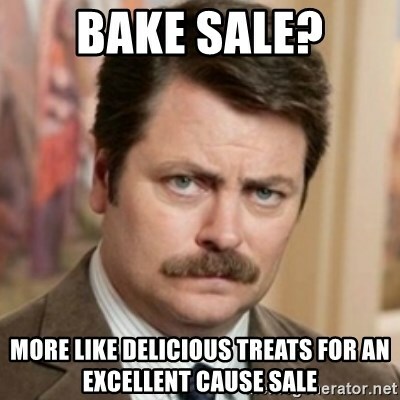 It’s Student Council Bake Sale Time! 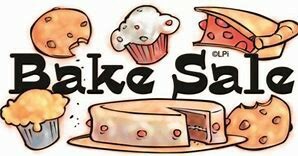 All this week through Friday, April 12, the Student Council will be holding a bake sale to help raise money for schools and students in need. We are so excited to make this happen! Sprout Up for our Spring Clean! 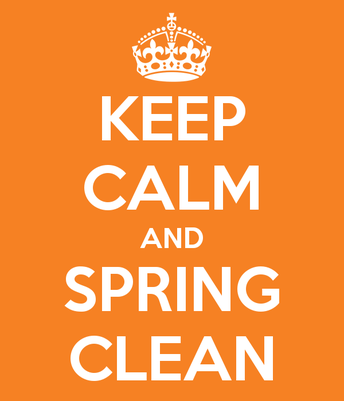 Thornhill’s Spring Clean is this Saturday, April 13 from 9am-12pm. Anyone and everyone is invited to come and pitch in any amount of time to help spiffy up our grounds! 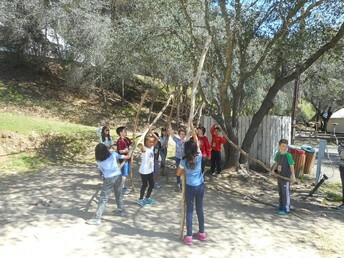 We need our community's hands and energy to keep our school so darn nice! Bring your favorite tools (weed wackers, leaf blowers, rakes, brooms, pruners, etc.) along with yard waste bags and gloves. 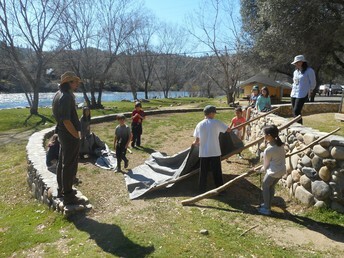 We will be putting our efforts into our gardening boxes, clearing leaves, trash, and tidying up our beautiful grounds. We will also feed each other with potluck style snacks and home-baked goods — this is a waste free event so please bring your own water bottle/reusable cups! More information and volunteer sign-ups are on SignUpGenius. Thank you in advance for working this into your weekend schedule! We are getting close to our $15,000 Thornhill Read-a-thon fundraising goal—we beat our week 1 goal of $5,000! ● If you haven’t created your Read-a-thon page with your student, please do so! Flyers went out last week to students who haven’t created a page and need their secret code again. ● Once the page is created, it’s easy to send out emails to friends and family to let them know about our Read-a-thon. There is also a link from the page to post to Facebook or other social media. ● If you’ve already posted on Facebook, repost! According to our highest earner, it’s been proven to get more sponsors for your student. ● Sign up to be a grade ambassador! Who is an ambassador? This is someone who communicates to room parents and individual parents in their grade helping people who have issues setting up pages, encouraging participation and helping get incentives for prizes for our treasure chest. 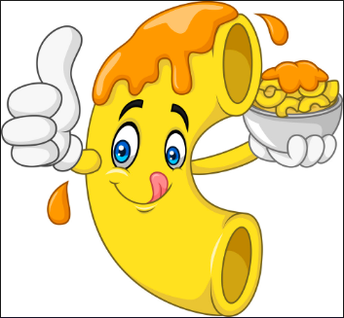 Our wonderful teachers are taking on big challenges to promote the Thornhill Read-a-thon including an ice-bucket challenge, walking on hands, and pie in the face. As of today, the class with the highest participation is Mrs. Van Ostrand (3rd) and the class with the most money raised is Mrs. Formoso (2nd) with $1300. Finally, on Monday, April 15 from 8-8:45am, we are selling books with Mrs. Dalloway's. Complimentary coffee and treats provided with 20% of the book sales going to support the Read-a-Thon. Who has two thumbs and l-o-v-e-s macaroni and cheese? The classroom that has the MOST participation of readers will have a lunch party catered by Homeroom! What’s for lunch? 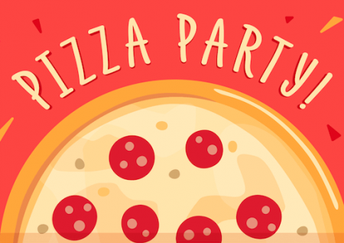 The class who raises the most through the Read-a-Thon will win a pizza party! 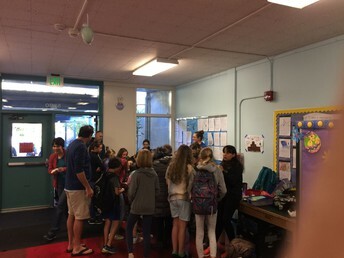 Fifty students who really stand out from across the school – from the number of minutes they read to the funds they raised to really giving it their all and putting in an incredible effort – will get a special treat party with our very own librarian, Mrs. Fox! Thanks to Flavor Brigade for donating delicious Italian ice for this very special treat! Thank you so much to these local businesses for donating treats for our students! 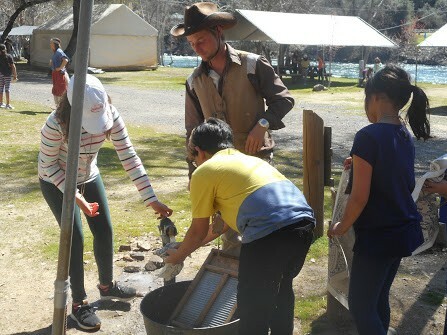 From March 18-20, the Thornhill 4th graders experienced the life of a "Greenhorn," traveling to Coloma to make their fortunes mining for gold. 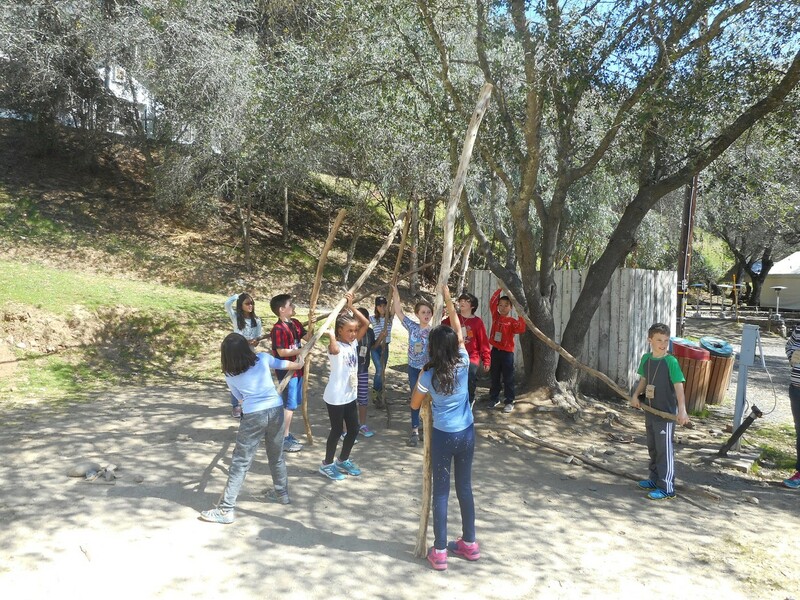 The trip was filled with laughter, community and experiential learning. Students panned for gold, made cornbread, hiked the hills and much more. Thank you so much to Ms. Gustafson, Ms. Novak, and parent chaperones and drivers who gave up their time (and a bit of sanity) to support the trip! California Gold Rush history came alive for all of us. What an awesome 4th grade tradition! It was truly a highlight of the year, so far. In conjunction with Read-a-Thon, we are once again collecting book donations. These books will be donated to Prescott Elementary on May 4. Did you know that Prescott is turning 150 this year? They are the oldest, continually operating public elementary school in Oakland. To help celebrate this milestone, support our Oakland community, and spread the joy of reading, please donate your gently used elementary-appropriate books. Look for collection boxes in the library and in the office soon, or visit the PFC table at the Carnival on April 27. Interested in helping with the book drive or getting involved with the Prescott Elementary 150th Anniversary celebration on May 4? Contact Becky Urbano at vpsupport@thornhillschool.org. 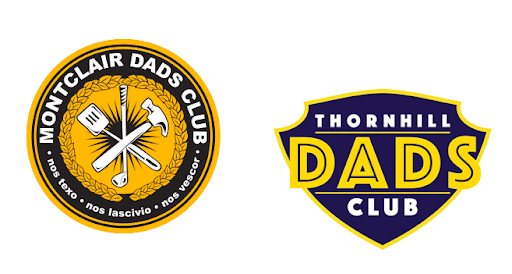 The first-ever collaboration between the Montclair and Thornhill Dads Clubs will be taking place on Saturday, May 11! The Dads Clubs are seeking teams from each school (5 from Montclair; 3 from Thornhill) to showcase their best chili! Please inquire directly with Mark Lecker at marklecker@sbcglobal.net. In addition to chili teams, the Dads Clubs are looking for volunteers to collect money, hand out tickets, count ballots, etc. Here is the Signup Genius link. Please consider helping to make this event memorable! To purchase tickets in advance, please visit Eventbrite. Tickets can also be purchased upon entry to the event. 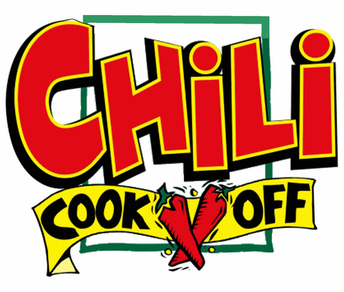 Tickets are $15 (adult), $10 (children 12 and under) and include samples of all the chili. Adult drink tickets will be sold separately for $5/beverage. BONUS: ​Make a day of it! Join (or watch) the Thunder-a-thon Lawn Game Tourney starting at 10am, right there at Roberts Regional Park! The Good Eggs fundraiser is still going! Order "absurdly fresh" ingredients for your holiday meal or just restock the fridge, and a portion of your bill comes right back to the school. We have just a few weeks left to raise some serious dough for the school! Shop at goodeggs.com with our school code TBIRD19 to earn money for Thornhill. This week's bonus offer: Place a Good Eggs order over $125 by Sunday, 4/14, and get entered to win a family night at Full Belly Farm! You’ll enjoy homemade pizzas, salad, ice cream and camping if you win this prize. Buy your game tickets here! The deadline is tomorrow, April 10. We are all in the same section this year (Section 226). We won't be doing an official tailgate this year, but stay tuned for a casual get together before the game.